Tapatio Springs Hill Country Resort was named as the #1 Most Improved Public Golf Course in the U.S. by Golf Inc. magazine. A total of 10 golf facilities, including private clubs and public courses, were recognized for making sizeable changes and upgrades to emerge stronger, better and more financially sound. "We are honored to receive this recognition from Golf Inc. magazine," said Caleb DuBose, Tapatio Resort General Manager. "Due to the commitment by Northview Hotel Group and the hiring of golf course architectural firm Tripp Davis and Associates to come in and renovate our golf course, we can proudly say we are once again one of the top golf destinations in the state of Texas." The $2.0 million golf course improvement plan at Tapatio Springs included complete bunker and tee work, regrading of fairways to improve drainage and playing surfaces, new artful bunker designs to increase the drama and strategy of many holes, resurfacing of greens, and the installation of a new practice putting green. The result is a stunning transformation of an outdated landscape of tired holes into a stimulating "must play" golf experience. The restored golf course, together with the renovated clubhouse and La Cascada Table & Bar create a truly Texas, intimate gathering place in the heart of Hill Country, ideal for private golf tournaments and event weekends. Ideally situated, Tapatio Springs hosts some of the area's most popular golf events, including the George Strait Roping Classic Golf Tournament, and Vaqueros Del Mar, the annual Troops First Foundation fundraiser which raised $1.1 m last month. Country music legend George Strait is a co-owner of the resort. According to Director of Golf Matt Reams, "We have sold 113 new golf memberships this year and we will finish out the year stronger than ever. The improved course also has had a positive effect on hotel occupancy. 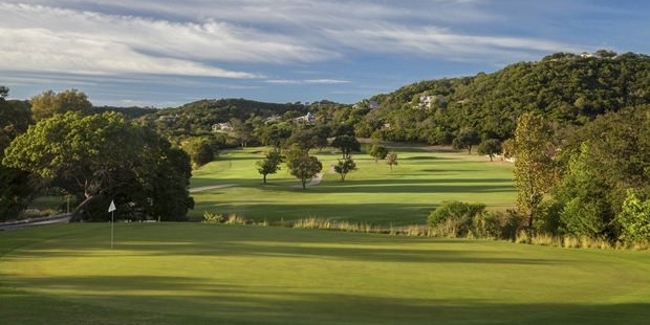 Our beautiful golf resort located in Texas Hill Country now offers a more playable and enjoyable golf experience for resort guests and local members."